Ask any child what they want to be when they grow up. Answers vary from being a superhero, to the garbage truck driver, to a popular choice: a fireman. 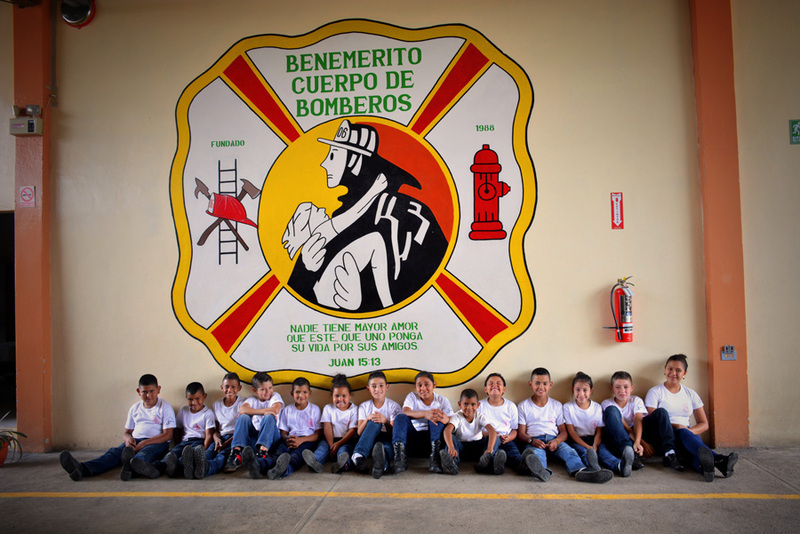 Growing up, Jonathan from Honduras dreamt of becoming a fireman. Through a special firefighting training program coordinated by his Compassion centre, Jonathan’s dream came true. “My passion is to rescue and save people’s lives,” says Jonathan. As a young boy, he dreamt of becoming a firefighter. Now 19, Jonathan’s dream came true as a result of attending the Compassion centre in his community in Honduras. Without the encouragement of the staff at his Compassion centre, Jonathan’s dream may have stayed just that—a dream. Twelve years ago, an alliance made between the Compassion centre and the community fire department changed it all for Jonathan. The alliance allows children aged seven to 18 to train as firefighters. Younger children learn about fire safety in a fun way while older kids participate in practical training. They benefit from a basic firefighter training course, first-aid workshops, and live simulations where they can practise what they’ve learnt. A new adventure starts every Sunday morning when the children visit the fire department. “It’s amazing to see what children can become when their dreams are encouraged,” says Jackeline, director of the Compassion centre. Becoming a firefighter is not an easy task. 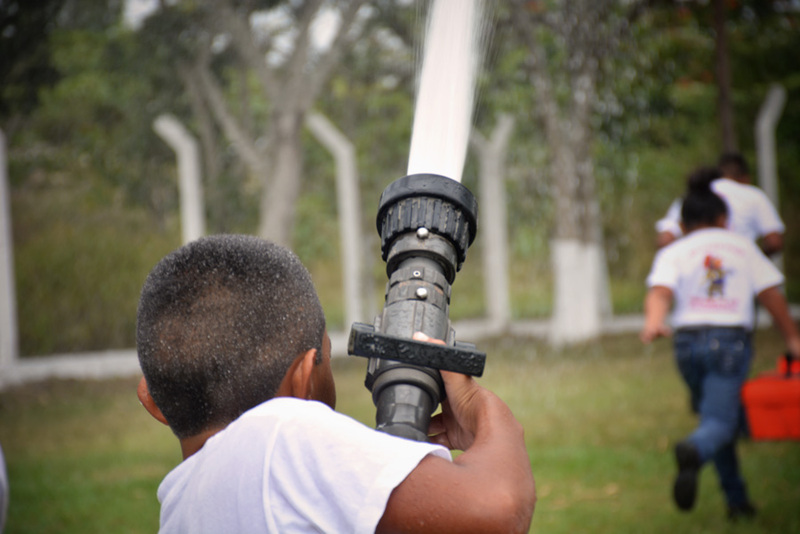 The children learn how to control fire (in a safe environment) using basic equipment such as fire hoses and fog nozzles, and pass the first-aid workshop. The youth learn how to use a breathing apparatus, pick-head axes, a spanner wrench set, and how to get dressed in their protective gear in less than two minutes. Of all the activities, there is a clear favourite—getting wet! When Jonathan turned nine and began attending the Compassion centre, he began attending the firefighting training. After completing his training, he undertook a year-long course, gained his high school diploma and showed good behaviour all in the aim of becoming a firefighter. Though there are many candidates from all over the community, only a few are successful in being accepted by the fire department. Jonathan was one of them. He credits the firefighting training through the Compassion centre, the guidance he received from the staff, and the opportunity to hear about Jesus as the key to his success. Sponsor a child today and give them the chance to see their dreams realised.